Barter Books : "Quaysider" [Evans, James] : Recollections. Or Incidents Culled from the Lives of Some of our Sea-faring Men. 190 x 130 mm (7 x 5 inches) - 120pp. Blue hardback cloth cover with ship to front cover. VG : in very good condition without dust jacket. Light shelfwear. Previous owner's inscription. 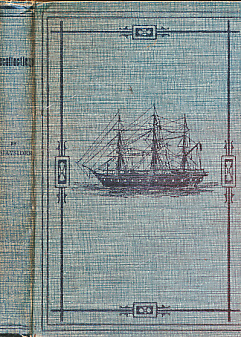 With illustrations of the type of Ships of the period, photographed from old pictures by Mr. R. W. Smeaton, Berwick.